Phase OneDigital DJSo does Pioneer DJ dominate the DJ industry? 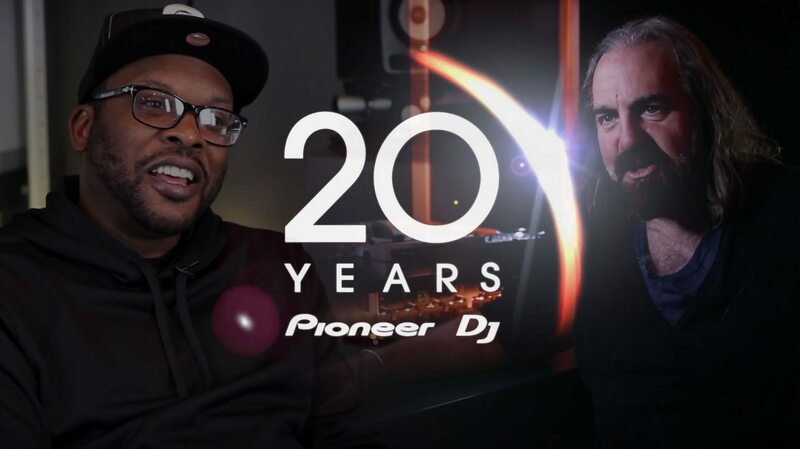 Well there is no denying it, if you’re a DJ wether you’re a beginner or a seasoned super star pro you will of come across the market leader Pioneer DJ, they have been at the fore front of DJ technology for over 20 years. With some legendary products that will be in DJ hall of fame for ever alongside the likes of the Technics 1210. Over the years the brand has grown to be the go to manufacturer of professional DJ equipment and it has to be said they do set the bench mark in tech for the other brands like Rane, Denon DJ and Numark to name a few to follow and sometimes improve on their ideas. But with a firm following from the industry and super star endorsements Pioneer have managed to get themselves to the front of the of the cue . The Compact Disc takes on vinyl ! 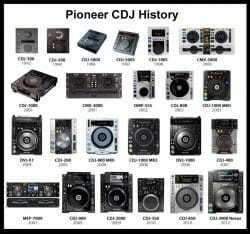 In 1994 Pioneer DJ launched the CDJ-500 the world’s first top loading CDJ that the DJ could increase and decrease the tempo of the track allowing the DJ to beat mix with a CD, which upon till then this had traditionally been done on a Technics 1210 and vinyl. The DJs love affair with the CD had begun, no more lugging around heavy boxes of vinyl. But it took a while to convince the masses that CDs were the future of the DJ and die hard vinyl fans took some convincing and it was not until 2009, when Pioneer launched the CDJ-1000 a huge improvement on the 500 model. The 1000 had real time scratch features never seen or heard before . Then it began to get traction with the DJ and DJs began to perform on a whole new level with the technology. The Pioneer DJ CDJ-1000 went on to become the industry standard across clubs and bars all over the world and the mk3 version will always have a place in the DJ equipment hall of fame. Now let’s not forget many other manufacturers of DJ equipment also had their version of the CDJ and Denon DJ was also a big contender in the arena and they had a brilliant 19” rack CD player that many DJs will remember, the DND range of CD players were the preferred player for the mobile DJ offering quality and performance . But it seemed the CDJ-1000 held the crown for the club DJ allowing the DJ to be more creative. So ok we had a great CDJ in the 1000 range so we needed a mixer that also gave the DJ a creative edge and 1996 it arrived in the form of the DJM 500 this was a mixer that had an array of features never seen in a mixer before with effects that were easy to use and intuitive, add to that a BPM counter, 4 channels of mixing and the fact it was designed to sit next to the CDJ range in the DJ box. It became the natural choice to use the DJM alongside the CDJ and so the format of 2 or 4 CDJs and a DJM mixer in the DJ box was born and this winning format certainly helped Pioneer DJ to begin to dominate the market and the DJ box. The DJM range of mixers went on to many models including the 600 and the legendary 800 and still the DJM range of mixers in 2019 are still at the top of the tree with the industry standard DJM-900NXS2 crowned as today’s standard. The one thing that Pioneer DJ over the years have got 100% right is the way their equipment is laid out. Going right back to the DJM-500 to today’s flagship the 900NXS2 the layout of the mixer is nearly the same even though the mixers are worlds apart in features, they seem to keep the user interface very similar. This idea of keeping the format the same is also another reason that Pioneer dominate the DJ box . Wether the club or venue has the latest equipment like the NXS2 range or older stuff like the DJM-800 the DJ will find it familiar and will instantly feel at home using any mixers in the range . 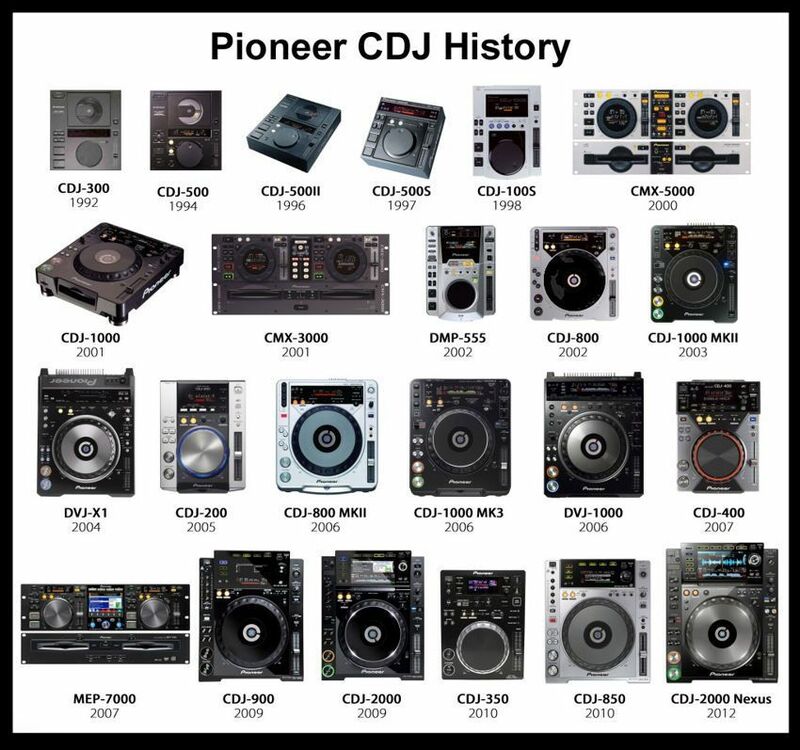 Pioneer DJ also took this idea of a uniform lay out to their CDJ range. The DJ will feel at home and this theory has managed to win over many users. In 1997 the MP3 was invented and was going to change everything we knew about the way we buy, play and perform. Although it was a while till the DJ embraced the idea, but change was coming and there was no way to avoid the rise of the digital DJ and the masses of technology that was on the horizon. We are not sure who was the first company to make software for the DJ to use to play music and mix from a laptop, but surprisingly it was not Pioneer DJ and it has to be said they were late to the digital DJ party and companies like Virtual DJ, Traktor, PCDJ and Serato dominated this area for a while. But one thing they did not have was expertise in making DJ equipment that the DJ would embrace. There is not doubt these DJ software companies had the edge on the software but the DJs did not like clicking a mouse on a laptop to mix, so there needed to be a DJ friendly interface between the software and the DJ. Soon there would be an amazing amount of DJ midi controllers on the market, these controllers were the missing link between DJ and software and for a while it seemed like there was a new one on the market every week from lots of manufacturers and many traditional DJ equipment manufacturers jumped on board making Controllers for the software companies. So we saw Companies like Numark, Denon and Pioneer making DJ controllers and putting other companies software in the box. Pioneer DJ for a while seemed to be going in a different direction even though they were making controllers for use with 3rd party software, they seemed to focus on the CDJ range of products that still dominated the DJ box in clubs and bars. Then in 2012 Pioneer came back with a CDJ that you could play music from CD and a USB stick and they launched a software called REKORDBOX to use with the system, but this was not a virtual DJ type software but a database management system to manage your mp3 collection then export to a USB stick to use with the player. Many DJs by this time had embraced DJ software and controllers and DJs found themselves using things like Traktor DJ software and when they got to the club there would be a Pioneer set up in the DJ box. Even though the Rekordbox software was free DJs liked the performance features that the performance software’s and the laptop had to offer . And they also did not like the idea of having to organise 2 music collections, one in REKORDBOX for use with the CDJ range and another in say Traktor. What the DJ needed was one software to do both jobs. Use as a performance piece of software and controllers and the ability to work with the CDJ systems found in most clubs and bars across the world. So it has to be said Pioneer may of been late to the party for the digital DJ but when they arrived they did with a bang! Rekordbox DJ was born and the unification that was needed in the DJ world happened and it seemed Pioneer held the keys to unlock the doors to move DJ technology forward again. 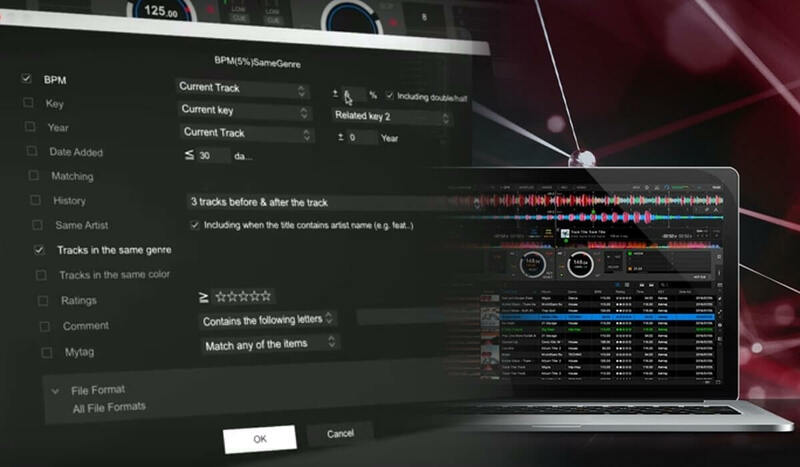 A new generation of software that could be used with laptop and controllers and with one click of a button you can export your prepared music collection from that software to a USB stick to use with next generation kit the NXS2 range of CDJ style players. And of course Pioneer launched a series of midi controllers to go with the software with the DDJ range which include the entry level DDJ-400 and awesome DDJ-1000 and now the new DDJ-800. All these controllers in the DDJ range offer loads of creative tools for the DJ but one thing they all share is the ergonomic layout that Pioneer have in their CDJ and DJM range making it a simple for DJ s to transition from one level kit to the next seamlessly and this has got to be one of the main factors that help Pioneer DJ dominate the DJ industry. Yes there are many other brilliant Manufacturers out there making some amazing kit, but that fact is , as a DJ you cannot avoid Pioneer you will find your just going to coming across the brand and its Rekordbox eco system , let’s be honest it’s just too good to ignore. Phase One DJ store are fully authorised Pioneer DJ dealers and have a fully trained team of staff to guide you through the full Pioneer DJ range of equipment we have to offer Be sure to check the range of professional Pioneer DJ equipment Phase One DJ store has to offer at www.djanddiscostuff.com/ our check out our fully stocked DJ Shop selling dj equipment from many brands including Pioneer DJ and many more. The showroom is based in Darlington and serves the Teesside, Durham and Newcastle area of the North East of England .